‘Is the Sacred Older than the Gods?’, A Symposium on Ronald Hepburn and his Legacy, Research Institute of Irish and Scottish Studies, University of Aberdeen, 18th–19th May, 2018 [programme]. ‘Can We Say the Unsayable? : Ineffability and Philosophy of Religion’, Royal Institute of Philosophy Invited Lecture, Keele University, 1st November, 2016 [abstract]. ‘Ineffability and Contemporary Philosophy of Religion’, New Work on Ineffability, The Van Leer Jerusalem Institute, Israel, 19th May, 2016 [abstract]. ‘Mondrian and Neo-Calvinism’, review essay of Classic Mondrian in Neo-Calvinist View: The Watson Gordon Lecture 2017, by Joseph Mashek, Expository Times (forthcoming). ‘Wittgensteinian Quasi-Fideism and Interreligious Communication’, forthcoming in G. Andrejč & D. Weiss (eds), Interpreting Interreligious Relations with Wittgenstein (Leiden: Brill, 2019 forthcoming). ‘Review: Philosophy of Religion: A Very Short Introduction, by Tim Bayne’, Expository Times, 130.19 (2019 forthcoming). ‘Is the Sacred Older than the Gods?’, in ‘Aesthetics, Nature and Religion: Ronald W. Hepburn and His Legacy’, special issue, Journal of Scottish Thought, 10 (2019): 13–25; also forthcoming in E. Szécsényi (ed. ), Religious and Aesthetic Experience: Ronald W. Hepburn and his Legacy (Aberdeen: Aberdeen University Press, forthcoming). ‘Review: New Models of Religious Understanding, by Fiona Ellis (ed. )’, The Philosophical Quarterly 69.275 (2019), 429–432. ‘Review: Nothingness and the Meaning of Life: Philosophical Approaches to Ultimate Meaning Through Nothing and Reflexivity, by Nicholas Waghorn’, Journal of Moral Philosophy, 15.2 (2018): 221–224 [read online]. ‘Review: Ineffability: An Exercise in Comparative Philosophy of Religion, ed. T. D. Knepper & L. E. Kalmanson’, Expository Times, 129.6 (2018): 273 [read online]. ‘Ritual Practices: An Emergentist Perspective’, Expository Times, 129.2 (2017): 53–61. ‘Ineffability: Reply to Professors Metz and Cooper’, Philosophia, 44.4 (2016): 1267–1287 [read online]. ‘New Work on Ineffability’, review essay of Ineffability and Its Metaphysics: The Unspeakable in Art, Religion, and Philosophy, by Silvia Jonas, Expository Times, 128.1 (2016): 30–32 [read online]. ‘Editorial: “Controversial but Never Ignored”—John Hick and Vito Mancuso’, Expository Times, 128.1 (2016): 1–3 [read online]. ‘Paul Tillich and Divine Ineffability’, in Mireille Hébert & Anne Marie Reijnen (éd. ), Paul Tillich et Karl Barth: Antagonismes et accords théologiques (Zürich: LIT Verlag, 2016), 79–92. Click the cover image to visit the publisher's website. ‘Review: Philosophy in a Meaningless Life: A System of Nihilism, Consciousness, and Reality, by James Tartaglia’, Notre Dame Philosophical Reviews (2016.04.05) [read online]. ‘Divine Ineffability’, Philosophy Compass 10 (2015): 489–500 [read online]. ‘Emergence, Emergentism and Pragmatism’, Theology and Science 13.3 (2015): 305–324 [read online]. ‘Pragmatism Applied’, review essay of Believing and Acting: The Pragmatic Turn in Comparative Religion and Ethics, by G. Scott Davis, Expository Times, 126.7 (2015): 334–335 [read online]. ‘The Imagination in the Travel Literature of Xavier de Maistre and its Philosophical Significance’, in Garth Lean, Russell Staiff and Emma Warterton (eds. 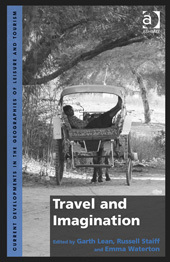 ), Travel and Imagination (Oxford: Routledge, 2014), 75–88. ‘Natural Theology and Literature’, in Russell Re Manning (ed. ), The Oxford Handbook of Natural Theology (Oxford: Oxford University Press, 2013), 551–565. ‘A Pragmatist Conception of Certainty: Wittgenstein and Santayana’, in Christiane Chauviré and Sabine Plaud (eds. ), ‘Wittgenstein and Pragmatism: a Reassessment’, special issue, European Journal of Pragmatism and American Philosophy, IV.2 (2012): 146–157 [read online]. ‘Christmas Mythologies: Sacred and Secular’ in Scott C. Lowe (ed. ), Christmas—Philosophy for Everyone (Chichester: Wiley-Blackwell, 2010), 59–69. Click the cover image to visit the publisher’s website. ‘Heidegger on Philosophy and Language’, Philosophical Writings, 35 (2007): 5–16 [read online].